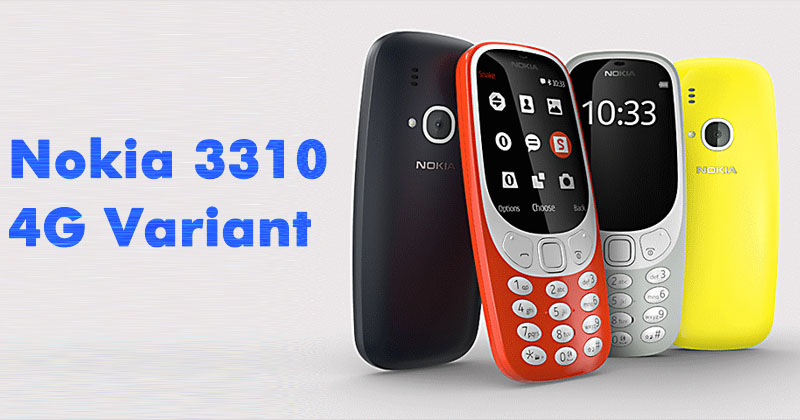 It is reported that the features of the Global Nokia 3310 4G support feature launches the phone soon.The source of this news is a Chinese website of hardware certification.Nokia 41010 version 4G has been seen. Hmd Global Network launched Nokia 3310 during the Mobile World Congress this February. The confirmed Nokia 3310 4G is exactly as we expected: it looks the same as the previous model and has the same core specification, but features 4G supports for faster data speeds. This also enables it to act as a wireless hotspot. and it supports high-definition VoLte calling. The Nokia 3310 announced at MWC 2017 was a 2G phone, which meant it wouldn't in certain territories. It was followed by a 3G version in September that added new color options and more internal storage and swapped out the Series 30 + OS for the new Java- powered Feature Os.